Browse place-mats suppliers by country and region. Can be used in any room in the home for comfort and for safety. 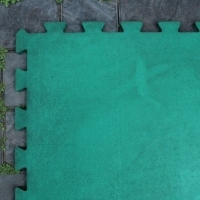 They are naturally resilient and have a slip resistant surface. Cork does not absorb water. So, when used in the bathroom or where ever water is present, just prop mat up after use to allow it to dry completely between uses. 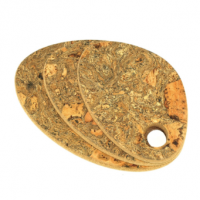 A set of 3 hot pads pebble shape in natural cork provide substantial protection to your work surface and to your table, stopping the formation of "heat rings". 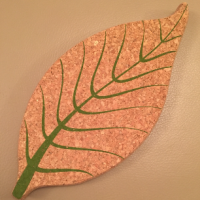 Natural cork provides excellent insulating properties allowing you put down dishes and pans straight off the hob or out the oven without fear of damage to your surfaces. The hot pot stand also protects against accidental spillage. Cork is retains its properties regardless of heat or cold, which make it extremely valuable. It is very soft and pleasant, and not harmful to our health. We can personalize each item for you. Short on time? Let place-mats sellers contact you. 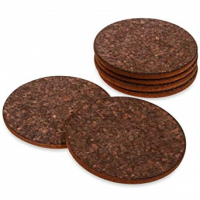 These natural cork table mats are perfect to stop your table from being damaged by heat or spills. The natural cork compliments the modern, clean look of today. 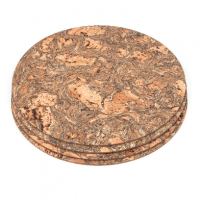 We have dark cork placemats or marble cork. 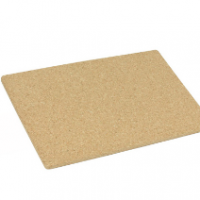 Natural cork provides excellent insulating properties allowing you put down dishes and pans straight off the hob or out the oven without fear of damage to your surfaces. The hot pot stand also protects against accidental spillage. We have different kinds od shapes and design e.g. pumpkin, donuts, cats, fish and many other. Please contact for more details. Table linen like table cloths, runners, placemats, napkins, bread baskets, coaster, tea cozy, glass cloth towels, kitchen linen like aprons, gloves, pot holders, kitchen towels, waist aprons, chef cap, double woven gloves, bed linen like duvet covers, pillow covers, fitted sheets, flat sheets, mattress protectors, bed skirts, quilts, quilt covers, living room like cushions, throws, curtains, shopping bags like wiping cloth, cleaning cloth, terry towels for hotel use, knitted and woven garments, floor mats and bath mats, baby garments like baby bibs, baby rompers, baby wrappers, baby hooded towels and baby cleaning cloths. 100% cotton placemat and table mat. We have many sizes in muslim prayer mat. It is made up of good quality polyester fabric with non-woven backing and with a good quality felt inside. Zhongshan Wulaer Imp.& Exp. Co., Ltd. Description: Material: pvc with nonwoven backing Size: 1.37 x 20m/r Oem orders are welcomed Colors: 4-color printing Pattern: various attractive lifelike fashionable designs are available Oem or odm designs are welcomed Features: Functions: waterproof, oil-proof, dust-proof, heat-resistant, wear-resistant, non-toxic, eco-friendly, durable, no wrinkle and no fading Advantage: can replace cotton, fiber or lace tablecloths which are difficult to clean and expensive Usage: house ware decoration, hotels, parties, banquet, weddings Cleaning instruction: washed in warm water which below 60161;227;c by hand with neutral detergent It will stay bright even if used for a longtime Packing: Packing: roll-up with paper tube and label with monochrome pp film tape Delivery lead-time: 25 to 30 days after confirmed the order Packing in roll:roll-up with paper tube and label with monochrome pp film tape Packing in single pc: each pc per clear pvc bag with color paper and hook. Our PVC placemat has beautiful design, with the functions of water-proof, oil-proof, anti-uv rays, standard fire resistance, bright color and never fade, color fastness amount to grade v or above, anti-abrasion, no poison, high strength, also as a supplier of wall-mart super market, Costco. Most of our product sell to UAS, Europe, Canada, Australia. Delicate packing, carton. Taizhou Coastal Beach Mesh Co., Ltd.
Any colour is availbe. 45*30cm and customered size. 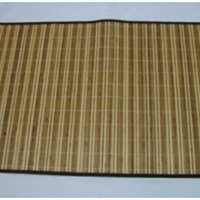 Woven vinyl placemat, table runner, coaster, pvc coated fabric, textilene The optional size: 5.5" x 14" (14 x 36cm) 9.5" x 14" (24 x 36cm) 12" x 16" (30 x 41cm) rectangular 13" x 14" (33 x 36cm) rectangular 12" x 18" (30 x 45cm) rectangular 13" x 17" (33 x 43cm) rectangular Our tolerances allow +/-3/8" (1cm) in each direction for custom mats. It obey these characters: Water-proof, oil-proof, anti-ultraviolet ray, standard fire resistance, bright color and never fade, color fastness amount to grade v, anti-abrasion, no poison, high strength, anti-aging, etc.